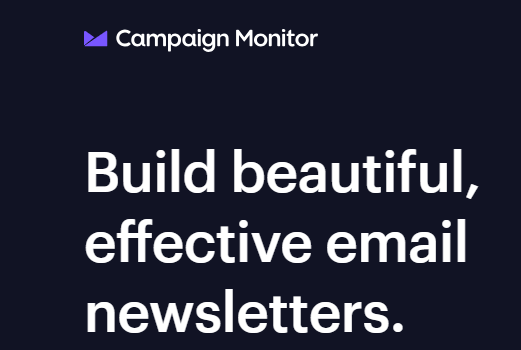 Campaign Monitor was created by web designers Ben Richardson and David Greiner while they were still at the undergraduate level, as a solution to their inability to find the tools they needed in any existing email marketing tool. They began to design Campaign Monitor in 2004 essentially for their own use. However, they eventually uncovered their brainchild service to other unsatisfied businesses and designers. Right now, more than 120,000 users are subscribed to Campaign Monitor, including the likes of Coca-Cola, Disney, Buzzfeed, Airbnb, and the San Diego Chargers. Campaign Monitor is centered around streamlining all aspects of email marketing. It is a truly brilliant concept. Ease of use and practicality were key in the design, but it is also quite obvious that the designers wanted to create something gorgeous. This cloud-based software is both functional and well-designed, which is a combination that a lot of software design companies try to do, but don’t always succeed in doing. The best thing about Campaign Monitor is that you can get the full experience right after you sign up. No key feature, including auto-responders and reporting on the software, is restricted to paid users. Although the software has its own shortcomings especially for more experienced users, enterprises seeking an email service provider to meet most of their marketing needs with the negligible hassle, could find Campaign Monitor really useful. Here’s a brief look at some of the features that Campaign Monitor offers. There are three payment plans available on Campaign Monitor. These are: the Basic plan, the Unlimited Plan and the Premier plan. Although there is a free unlimited trial period to let users test and experience the complete set of features the software has to offer with no credit card details required, it does not let you actually send emails. Sending even a single email will cost you money. Nonetheless, sending test emails is possible, to up to five addresses in each campaign, to help you assess each stage of the process. This plan is inclusive of all that is available on the Unlimited plan, but with additional tracking reports and analytics, which raises the prices. Although it is quite pricier, the Premier plan has a lot of tools that could absolutely turn your business around. In any of the plans, if you have over 50,000 subscribers, you will need to request a special quote for high-volume sending needs. For non-profit organizations and causes, Campaign Monitor offers a 15% discount, which is quite commendable. Signing up on Campaign Monitor is pretty straightforward and stress-free, with a minimal amount of info required of the users – name, business, an email and a password. The tabs on the dashboard are partitioned. Account-related links are distinctly faded at the top, while the tools that are needed for creating campaigns and lists are positioned conspicuously and colorfully about an inch below. You get four options here at first – “Overview” (a panel having links to tutorials at the initial stage, and noteworthy campaign information later), “Campaigns,” “Automation,” and “Lists & Subscribers.” “Templates” and “Clients” are offset from this main categories. In a sidebar in the account settings, the option for switching the layout of your account from “Multiple Clients” to “Single Business” is slightly concealed. This will help you simplify the page layout by taking out a few options that you are likely not to need if you are running the e-marketing for just one enterprise. Hundreds of different templates, divided into various categories like “newsletters,” “announcements,” and “feedback,” are provided by Campaign Monitor. You may also choose to import your own HTML files which are build simple plain text emails. You should note, however, that the system can’t track clicks and opens on plain text campaigns. Even though Campaign Monitor does not offer the same degree of handling that specialized design software, such as Photoshop and InDesign provide, it allows for the resizing of images, adjustment of colors and lighting, and even the removal of “blemishes.” Previously, poor usability during email creation was one of the greatest flaws of Campaign Monitor, and so it is great to see that this has been so nicely rectified. Editing text is even sweeter with 10 available fonts and the bolding, italicizing and insertion of extra links options. You can preview your design when you are done to see how it would appear in a desktop or mobile device inbox before you send. Campaign sending is quite simple as well, and Campaign Monitor will essentially be walking you through the entire procedure. If you haven’t yet drawn up a contact list, the program prompts you to do that. You can then send test emails to up to five receivers, which do not count as part of your monthly portion of emails. You can send them even during your free trial. When you are satisfied with the test, you can schedule the messages to be sent either immediately or at a later time. Campaign Monitor offers you the option of specifying a list as single-opt-in or confirmed-opt-in when you are adding contacts. Confirmed-opt-in simply means that confirmation emails must be sent before you officially add a contact to your list. This isn’t necessary when you import a list. Another nice feature if you are typing in your contacts manually is that you can add extra information about a contact by simply separating each item of information by a comma. You will then be able to match each of the entries to a column and effectively create a spreadsheet cell. The facility to run split campaigns is also a great tool featured by Campaign Monitor. This allows you to send slightly varying versions of the same email campaign to different test contacts to ascertain which one gets the best response. This way, you can split the subject of the mail, your sender name or even the message content itself. If you venture to pay for the Premier plan, you’ll be getting some more advanced analytics than the entry-level reporting that the Basic and Unlimited plans have to offer. You will be able to track the habits of individual subscribers on your site, and even contact them directly for more personalized marketing. This is the sort of tool that companies dealing in the sales of physical products need the most, and so if this is your line of business, you might want to consider it. Campaign Monitor’s customer support options may seem kind of scanty at a glance, as they don’t offer any real-time support in the form of live chat or phone service. However, the speedy response of their 24/7 email-based customer support team and their rich, searchable knowledge base makes up for this. Campaign Monitor has very few negative reviews to be perfectly honest. The major ones that a few users find include the dearth of features, a limited number of integrations, and confusion about the basic plan’s tracking of subscribers and emails sent. Pertaining to the scarcity of features, while users largely praise the quality of the options available on Campaign Monitor, many feel that it would have been a better experience if some more specific and advanced tools were included, such as the ability to compare results of different tests. The recent trend towards making email marketing more available to a wider range of users, by making the programs simpler and removing pointless features, comes with the risk of making the software less useful to more major marketing campaigns. However, Campaign Monitor gets this minimalist idea quite better than most other email service providers. You are likely to get all the tools you need for a successful email marketing campaign without having to go through a complicated and crowded interface. In addition, the presence of all the key features at every pricing level gives Campaign Monitor a completeness that a lot of email marketing platforms lack. All of this coupled with its superb graphic design makes it one of the best email marketing options available. 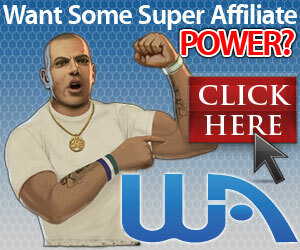 You can test run the free trial to see how well it suits your needs.